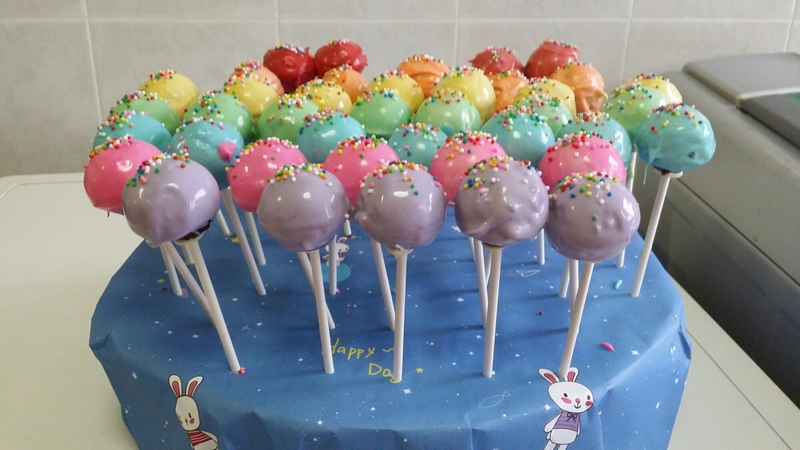 I wanted to make cake pops for Anna’s party. So I did it today! 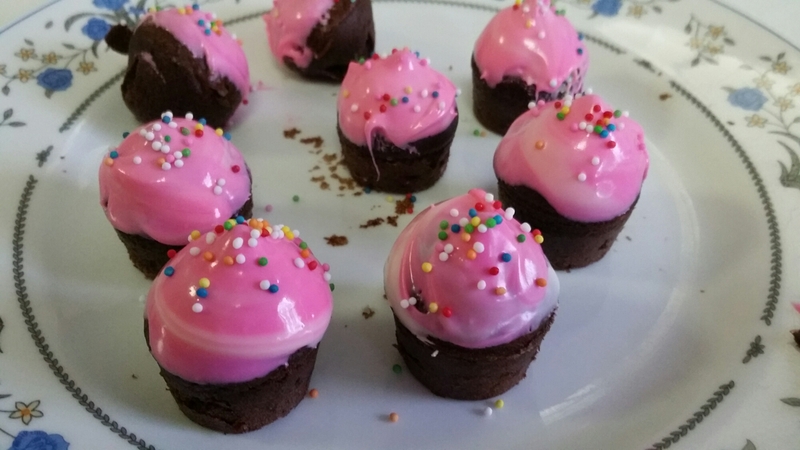 I used a cake pop mould to make chocolate cake balls. And covered them with melted white chocolate and sprinkles! The theme of the party is A Rainbow Special, hence the colours of the rainbow. It took a whole afternoon to work on them though. I learnt that it’s easier to work with frosting than chocolate. It’s my first time using chocolate to frost/ice/coat. And the cake balls threatened to come off the sticks when being dipped in the chocolate. 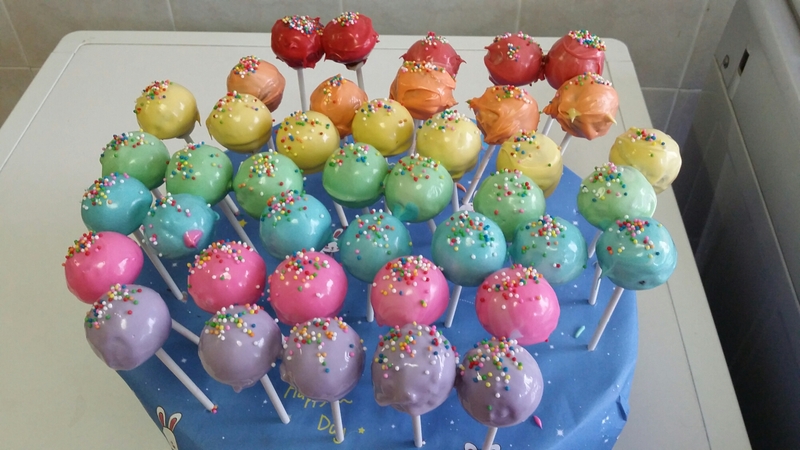 I’ve read up a bit on tips on making cake pops so I did try some of the tips, such as dipping the lolly sticks in chocolate before sticking them in the balls and leaving them for a while in the fridge so that the chocolate would harden and the sticks would stay. Most of them did. Only a few came off. Which wasn’t a problem as my boys were happy to help me ‘clean up’. Which means eating up the rejects. I also added a little oil when melting the chocolate to thin it out a little and make it easier to work with. It also gave a nice sheen to the cake pops. The problem with cake pops though, is that you eat one and then you eat more and before you know it, you’d have popped 10 in your mouth! They’re that good and easy to devour. Yums. I hope my guests like them! Next > What a difference a year makes! Happy birthday Anna!